Extended compressor warranty coverage obligates Advantage Engineering, Inc. to exchange, (FOB) the factory, the compressor with a comparable compressor with equal capacity. The extended warranty covers years 2-5 after initial shipment or invoicing of the original product, whichever occurs first. Advantage Engineering assumes no responsibility for accessories, labor, or freight to or from the factory. 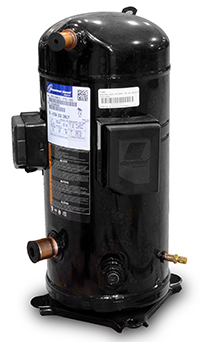 The extended compressor warranty is void when failure is caused by water in the system due to evaporator freeze-up and rupture. Advantage Engineering reserves the right to replace in warranty defective parts from its factory. Any unauthorized substitution of Advantage factory parts voids the Optional Extended Compressor Warranty. Optional Extended Compressor Warranties must be purchased prior to shipment. All extended warranty compressors are processed through the Advantage Engineering Factory. The chiller model and serial number along with a photo of the compressor data tag are required to verify warranty status. Advantage service personnel will advise whether the defective compressor is to be returned. A purchase order for the list price of the new compressor will be issued to Advantage. A Billing for the cost of the compressor will be issued. The defective compressor must be returned pre-paid and within 30 days of the replacement compressor shipment. When the defective compressor is received and verified by Advantage a credit for the billing created in Step 2 above will be issued. Any questions pertaining to Extended Compressors Warranties are to be directed to Advantage Customer service. Would you like to Download FYI #313 to your browser?